Summer is here and that means it’s time for some fun in the sun, parties, barbecues, picnics and all the delicious foods that come along with all that fun. 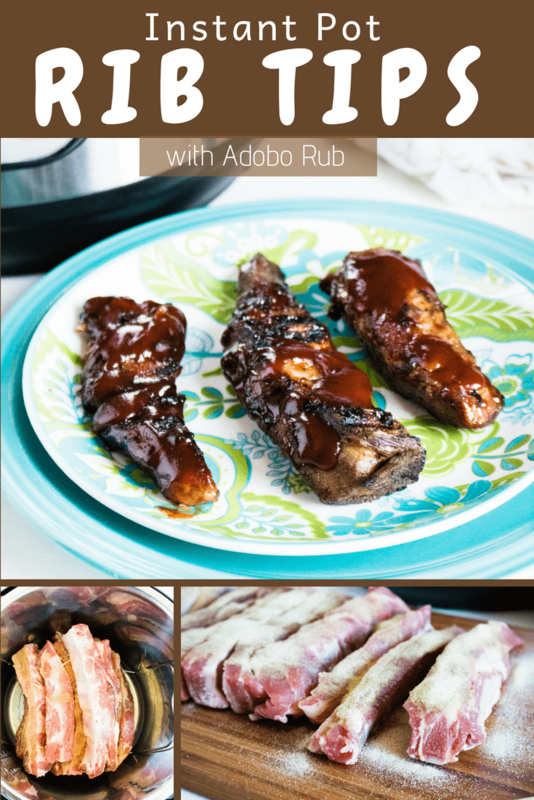 This recipe for Instant Pot Rib Tips is a perfect choice for any gathering! Flavorful, easy, quick and as much a taste of the summer months as hot dogs and hamburgers, but a little more unexpected. You will be the hit of the picnic with these gems. Rib tips are the short, meaty section of rib that is attached to the spare rib and usually cut off when ribs are trimmed. They are tender, delicious and, here’s the best part, usually very affordable. 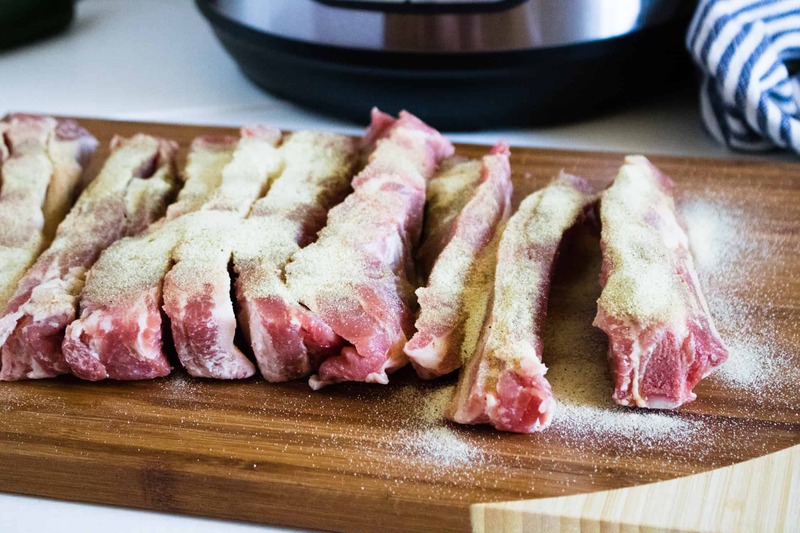 This Instant Pot Rib Tip recipe is super easy!!! Rub the seasoning into the rib tips, drop them in the Instant Pot, and go have a cool drink while the Instant Pot does the work for you. 40 minutes later you have a perfectly cooked, satisfying entrée. They are so versatile. You can eat them with just the Adobo rub. Or, if you want more flavor brush on your favorite barbecue sauce. If you really crave the taste of meat cooked on the grill, plop these on the barbecue for a couple of minutes on each side to finish them off and give them a “cooked outdoors” flavor. Even if it’s raining or cold, and a picnic is just not going to happen, you can still have these delicious Instant Pot Rib Tips, since they are cooked indoors. 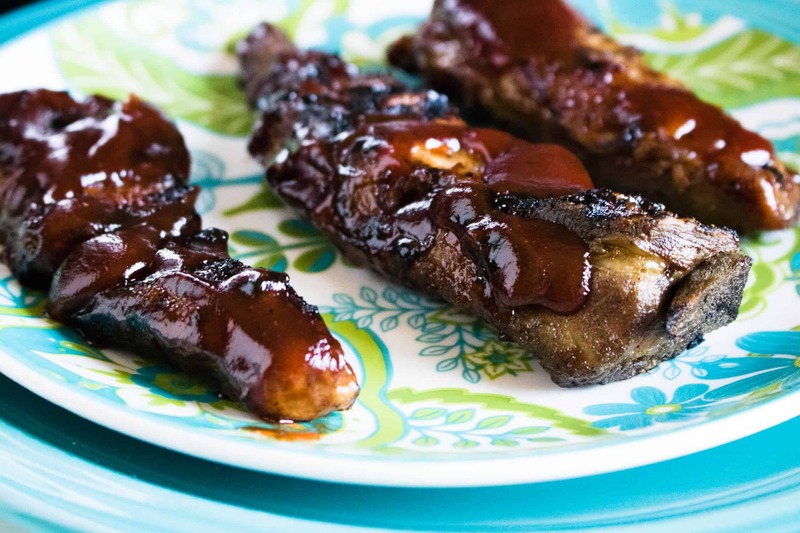 This recipe lets you enjoy delicious barbecue flavor anytime, and in all types of weather! A salad always goes well with a meal. Try these Mason Jar Salad suggestions for a healthy, colorful and unique way to serve up a green salad! Want a fun and flavorful recipe for people to enjoy while they look forward to the main event? Try these Stuffed Mini Sweet Peppers. For a great finale to this awesome meal, try this Boozy Frozen Strawberry Daiquiri Pie recipe. Cool, delicious and full of adults-only strawberry goodness. Step #1: Rub seasoning over pork rib tips. 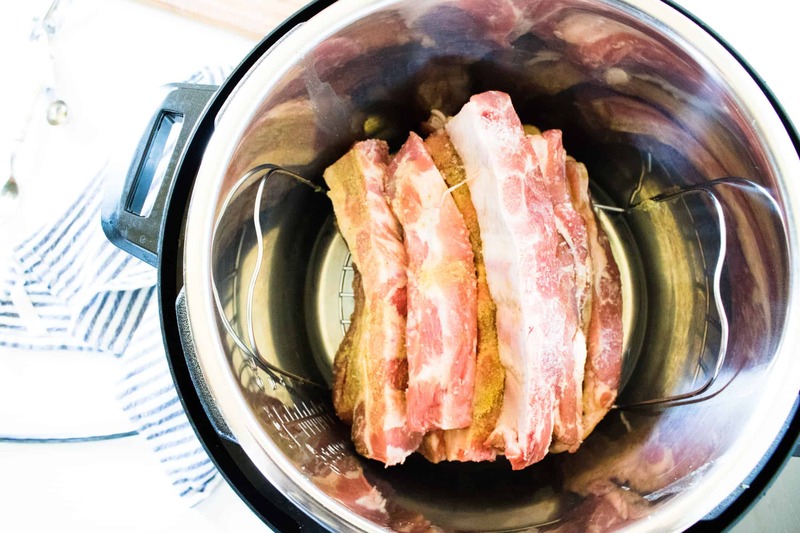 Step #2: Add 1 cup of water to the Instant Pot and then stack the rib tips on the Instant Pot trivet. Step #3: Place the trivet in the inner pot. Step #4: Seal the Instant Pot and set to sealing. Add 40 minutes high pressure cook time. Step #4: Allow for a natural release and then when the pressure has all been let out, either serve with barbecue sauce or finish on the grill for 1-2 minutes on each side and then serve. 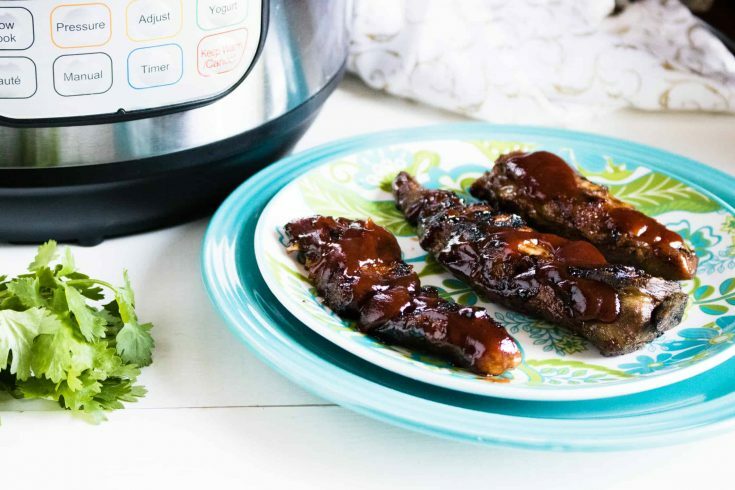 This Instant Pot Rib Tips recipe lets you enjoy delicious summer barbecue flavor anytime, and in all types of weather! Rub seasoning over pork rib tips. 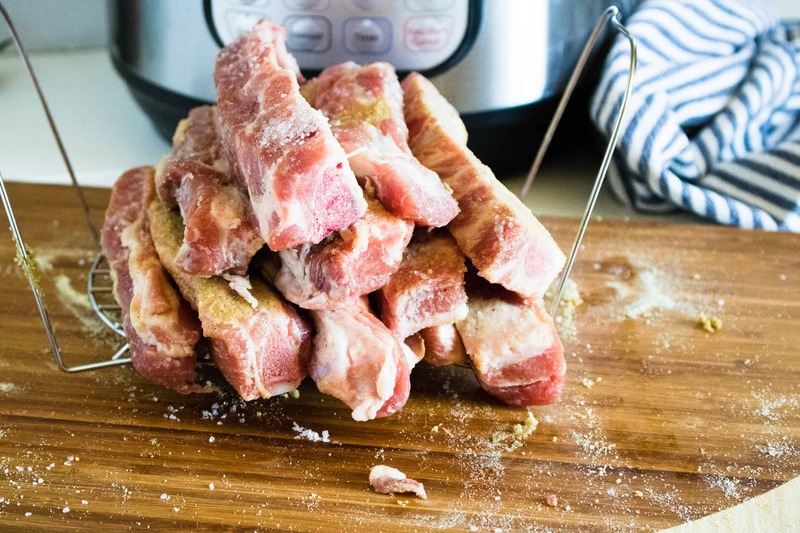 Add 1 cup of water to the Instant Pot and then stack the rib tips on the Instant Pot trivet and place the trivet in the inner pot. Seal the Instant Pot and set to sealing. Add 40 minutes high pressure cook time. Allow for a natural release and then when the pressure has all been let out, either serve the tib tips with barbecue sauce or finish on the grill for 1-2 minutes on each side and then serve.